The Rebel Sweetheart. : Globe gears up for Samsung Galaxy Note 4! The Laneige Beauty Box? A new designer bag? Plane tickets maybe? Or perhaps Samsung's newest baby, the Galaxy Note 4? If you're just as excited as I am for the latest Note device, our friends at Globe Telecom are bouncing off the walls for us enthusiastic customers! 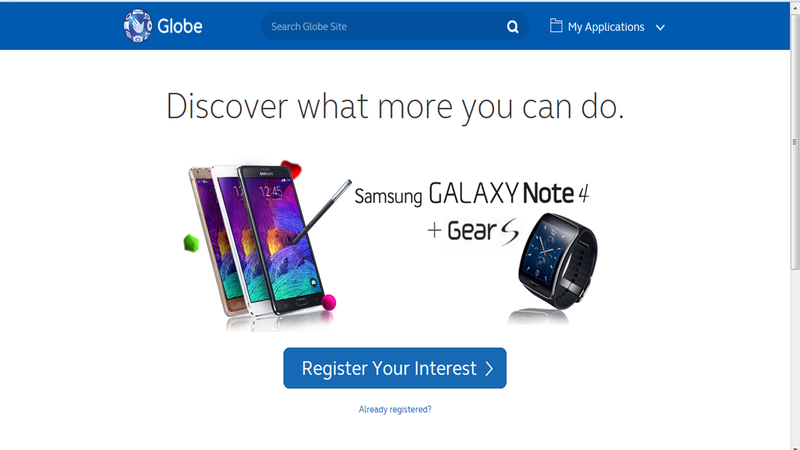 They're even going the extra mile in welcoming the Galaxy Note 4 and Galaxy Gear S by opening an online portal for the eager beavers.The portal accepts registration of interest among customers purchasing the latest devices with a postpaid plan from Globe. Register now and be one of the first proud owners of the Galaxy Note 4! Available on the Globe website via https://samsungnote4.globe.com.ph, the registration of interest portal allows new and existing postpaid customers to choose their device color in advance and register their personal details such as name, mobile number, and e-mail address. The customer database will be used to update registered customers with postpaid plan offers and pricing details. A reference number will be provided to customers so they can track status of their application. Yes, it comes in pink, too! Sweet isn't it? Now here are some of the drool-worthy features of the Galaxy Note 4. For starters, it boasts of a 5.7-inch Quad HD Super AMOLED display and is armed with a 2.7GHz quad-core processor, 3GB RAM and 32GB ROM. It sports a 16-megapixel Smart OIS main camera for shooting high-quality photos and a 3.7-megapixel front-facing camera with a wide-angle lens. Equipped with all the fun and functional features of Android 4.4 KitKat plus an Advanced S Pen, the Note 4 promises enhanced productivity and creativity. This company is smart to get set up ahead of time instead of waiting for the last second then have everyone running around trying to get everyone signed up correctly! I hope you get one!! I need new phone! My three year old blackberry is giving up on me. I like the look of it--I honestly don't really understand every thing it does but it seems like a smart investment. These are very good pieces of technology.. The screen on these are amazing! Battle of the phones continue. I have been thinking about switching over to Samsung from my iphone. I would love to be surprised for Christmas! Now to find somebody willing to surprise me! I would love to have a note. I just upgraded a few months to the Galaxy 5 and love it. Hopefully, the note has better speakers. This Samsung Galaxy Note looks amazing. I’ll probably switch phones. Yes! I am totally wanting this! I can't wait to play with one! I know nothing about phones other than Apple. But, this looks pretty nice, and I've seen lots of excited people about it coming out. 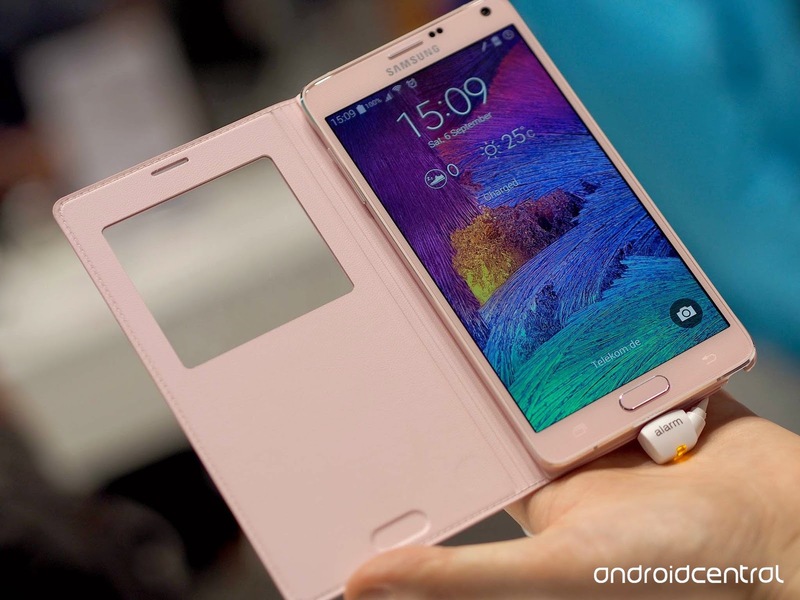 The Samsung Galaxy Note 4 looks really amazing, and yes, totally drool-worthy! My fiance just got the Galaxy Note 3 because they were marked down due to the new release. It is incredible and I think the graphics are better than my laptop! I'm an apple girl but this one looks amazing ..